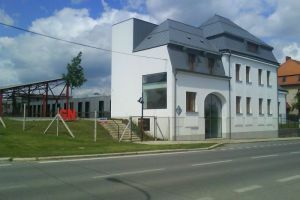 A visit to successful reconstruction of an industrial villa from 1912 with adjacent manufacturing and storage spaces. The buildings are located in the premises of Jihlavan company near the city center. The walk is organized by members of architectonic studio UNArchitekti.